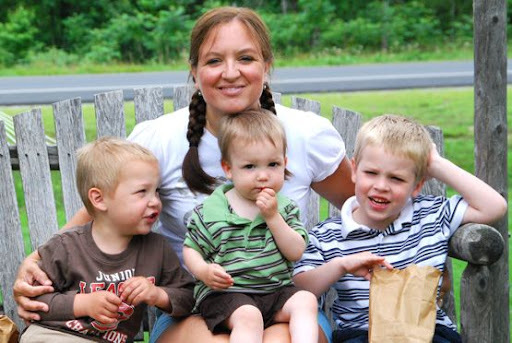 One of our favorite places that we visited while in Vermont was The Vermont Country Store. We slipped away one morning - just our little family of five - and headed a few miles out of town to find this little place. 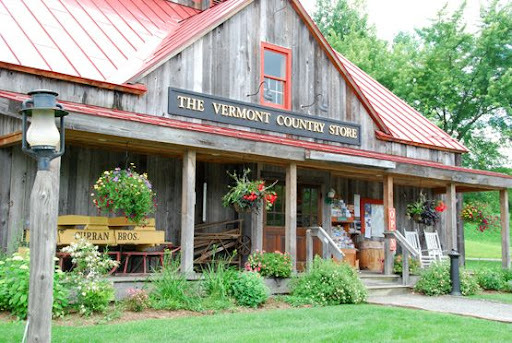 It is full of Vermont goodness - pottery, cheese, maple syrup, fudge, clothing - it is a quaint and delightful store full of just about everything you could want or need while on vacation there. And, there was candy. Lots and lots and lots of candy. 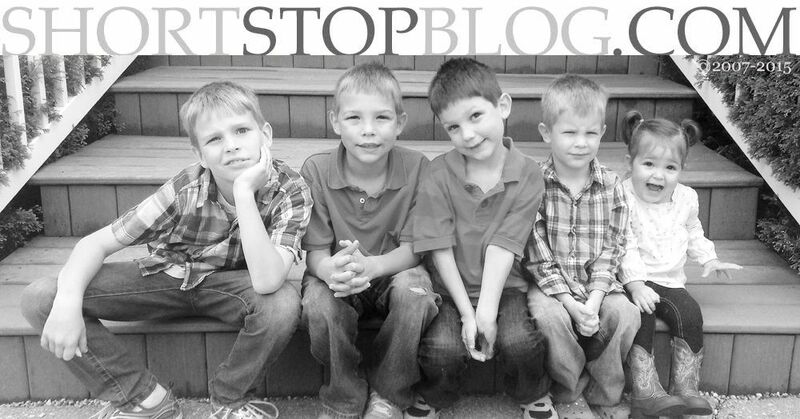 So, we let each of the boys fill a small paper bag full of the different varieties of candy. Their eyes lit up the moment they spotted those colorful bins and I was transported right back to my childhood. I knew exactly how they felt. 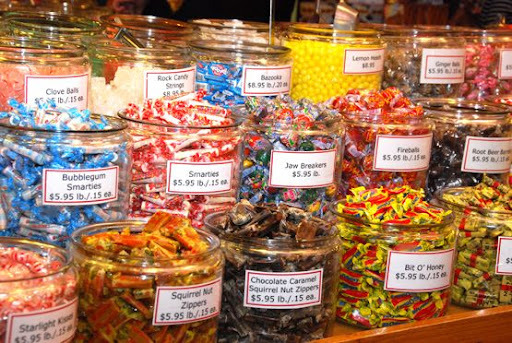 I remember staring at those same bins of candy as a little girl and wanting to hide away with a big bucketful and not come out until it was all gone. Right next to the store was a covered bridge. So, we sat under the bridge and enjoyed the shade, one another, and our candy. We don't get the boys candy very often, so watching them savor and enjoy every bite of this special, summertime treat brought us so much joy. Since I'm usually the one behind the camera, I'm not in many of our photographs. 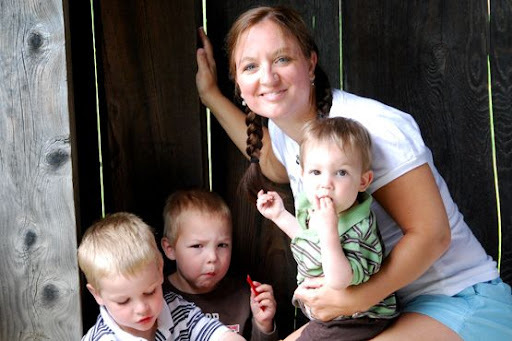 I'm working on letting go of my self-conciousness and allowing Jason to capture photos of me with the boys before time and my memory have both slipped away and I don't get to have them near me every day. I love these boys. 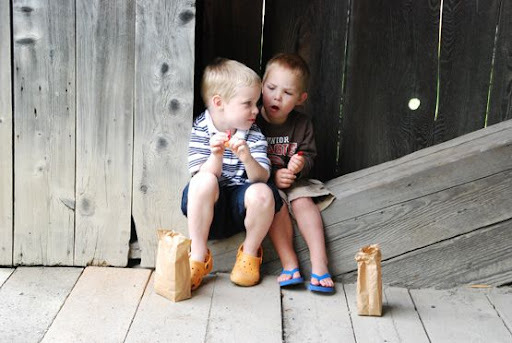 I love sharing days and vacations and covered bridges and candy with them. And, I absolutely love being their Momma. Beautiful, Sarah! Your words, the boys, and YOU! Wow! What a beautiful family and a beautiful woman!!! I just looove the last pic of you and the boys. one to frame for sure. I'm beginning to get jealous of your vacation with all the great pics you're posting. That last picture of you and the boys is SOOO precious! I'm glad you're getting in the pictures, too! Looks like a wonderful time! what great pictures. they really capture the moments you want to savor. looks like a fun and special time. I really LOVE that second to last shot of you with the boys so great! You are adorable! Love the pigtails. The picture where you are handing Lincoln a piece of candy is such a classic "you" expression. I love it! Love seeing you with the boys! You look so cute with the pig tails. I am quite jealous as it is a look I haven't been able to pull off well. 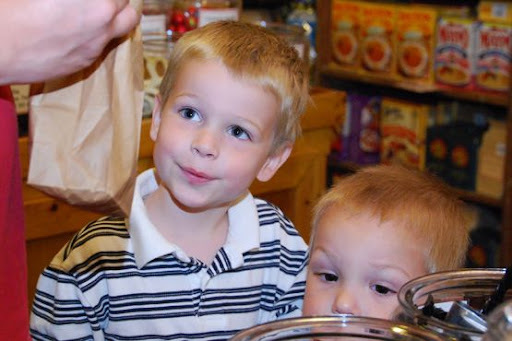 Love the shot of the boys peering at the candy right before they get their bags. 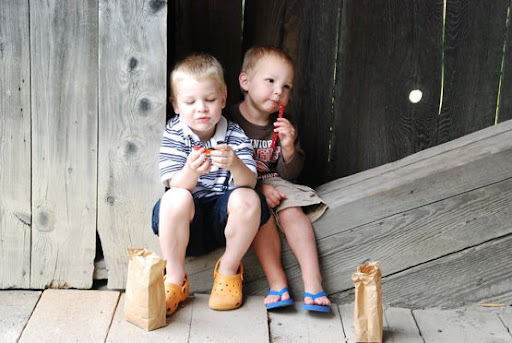 And the image of you all enjoying your goodies at the covered bridge... delightful! Glad to see you peeking out from behind the camera girlie. What a cool looking store! I love the pictures and good for you for getting in the pictures. I still hate to see myself in pictures but I wish I had let go of that to have more with my kids when they were young. What some precious memories! And I'm so glad you got in on the pictures. I am delighted you enjoyed our store, candy and our covered bridge! As you might have guessed, I work hard at connecting you with those memories of when you were a kid! I am very happy to see you creating such nice lasting memories for you and your family. Thanks so much for visiting us! 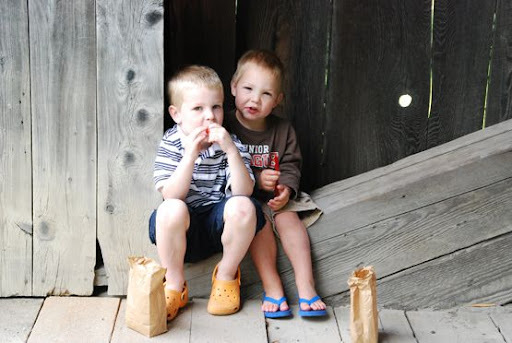 I would love to speak with you about your post and these pictures in our covered bridge. What fun! that store looks so quaint, cozy, and just plain fun. It is supposed to be raining pretty heavy tomorrow - so, um, guess where we are going?